New to Hella Holo Customs? Hella Holo Customs is a Facebook Group dedicated to, you guessed it, a love of custom holo polishes. For the full rundown, and more importantly, to be able to purchase these and other HHC polishes, you'll need to join the HHC Facebook group. In a nutshell, different makers are invited each month to create limited edition polishes available ONLY to HHC members, inspired by member-submitted and voted photos. HOW TO BUY: As mentioned above, you must be a member of the HHC Facebook group to purchase. Once you're in the group, you can read through the rules and access shop links. All photos in this post are taken under artificial light. All swatches are topped with Glisten & Glow HK Girl topcoat. These polishes were provided for my honest review. 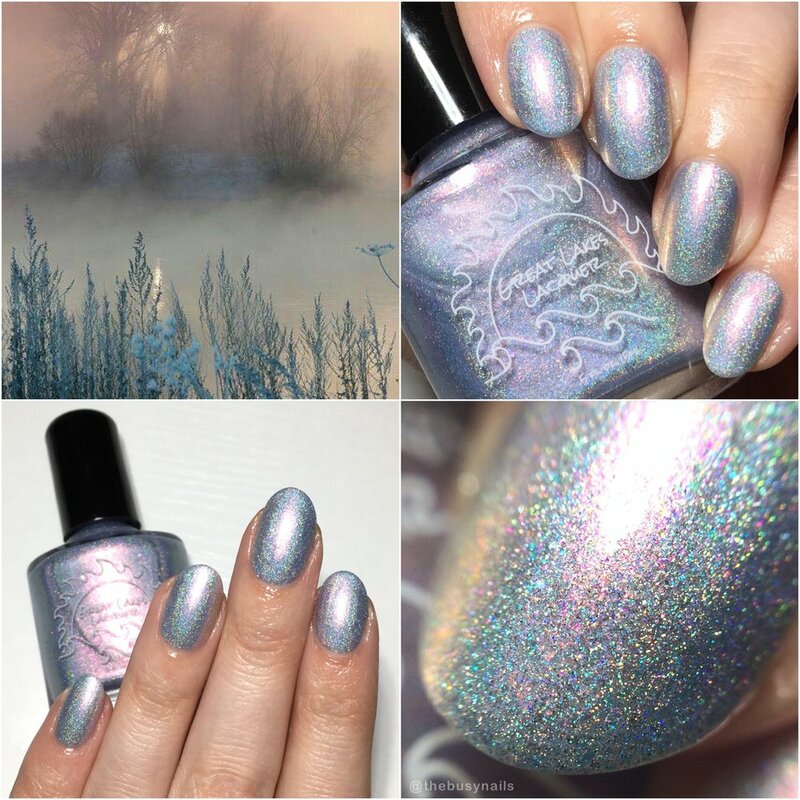 Maker description: A light icy blue linear holographic enriched with shifting shimmer that hits pink, orange, and gold. 2-3 coats for an opaque look. Formula: Good formula, zero cleanup needed. My thoughts: This is one pretty polish. My notes include "icy, clean and ethereal", which pretty much sums it up. The shimmer is also even stronger in person making it very dynamic for such a pale shade. 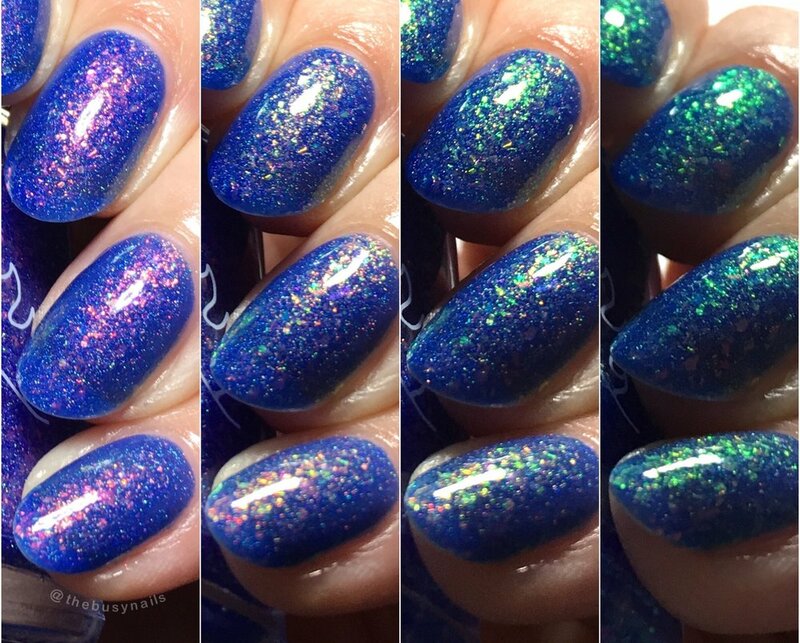 Maker description: A light lilac-based linear holographic boldened by holo micro flake and brightened with blue, purple, aqua, and green shimmer. 2-3 coats for an opaque look. A bit more sheer than the first so the shimmer stands out well. Formula: Great formula. It goes right where you want it. I needed no cleanup. My thoughts: I have a serious weakness for polishes anywhere near the lilac/lavender/periwinkle family, this polish included. While it's definitely lilac, the shimmer can make it lean more blue. It's a tiny bit less saturated than these photos show, and oh so pretty. Maker description: A green-leaning teal linear holographic with gold to bronze multichrome flake and shimmer that shifts from blue to purple. My thoughts: "SO RICH! ", says my notepad, and it doesn't lie. This is a vibrant, saturated jewel-toned shade that surprised me by how much I love it. It's a bit more green-leaning IRL, and really, really pretty. Maker description: A bright, cobalt blue teaming with iridescent shifting flake and shimmer that runs through orangey copper to gold to green, finished with a tight scattered holographic. Formula: Good formula. I should have done 3 coats for these photos since that's probably how most people will prefer it, but I really liked the slightly glassy look at 2 coats with slight VNL. To each their own. My thoughts: What's not to love here? Cobalt blue, iridescent flakies in what I've decided are the PERFECT size, and shifting shimmer. 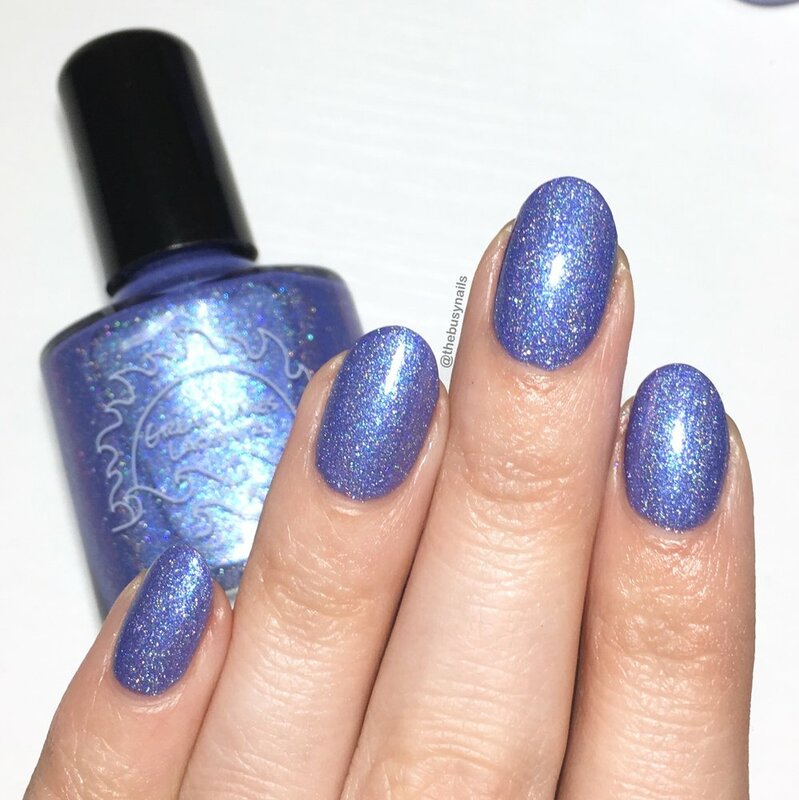 It's like the flakie second cousin of The Cold Hour of Dawn from the 2017 holiday collection and you're going to love it. I went into this swatch session assuming So Sweet and So Cold would be my favorite, and while I do love it, I'm having trouble narrowing it down. What really surprised me is just how much I loved From Darkness Comes Light. I expected to like it the least (which is like choosing a least favorite between tacos and pizza, so don't read into that), but it really wowed me once I got it on. They're all must-haves in my opinion. If you're not already a member, head on over to the HHC Facebook group, click join, and get to buying these beauties before they're gone for good on Jan. 31st.